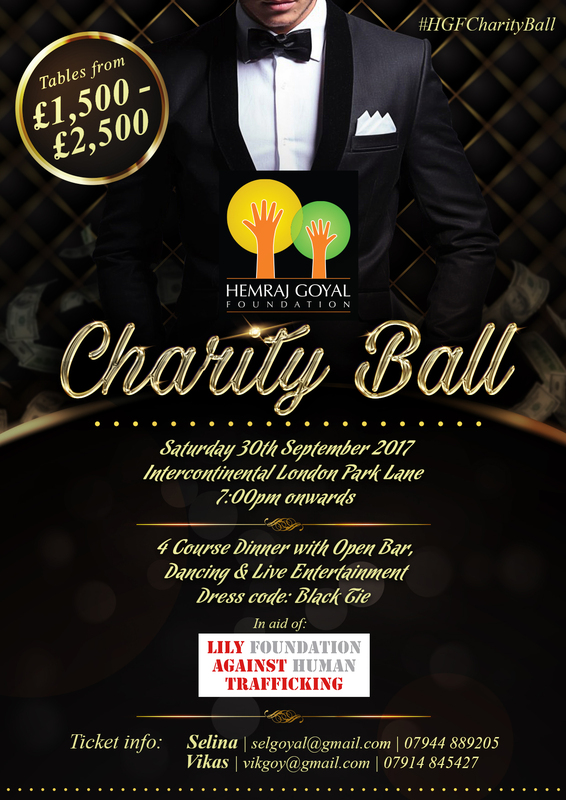 The Hemraj Goyal Foundation Charity Ball will take place at the Intercontinental London Park Lane on Saturday, 30th September 2017 from 7:00pm onwards. The charity ball will start with a drinks reception followed by a 4 course meal. It promises to be a glittering occasion – expect an evening of dancing and live entertainment. To book individual tickets, please click here.